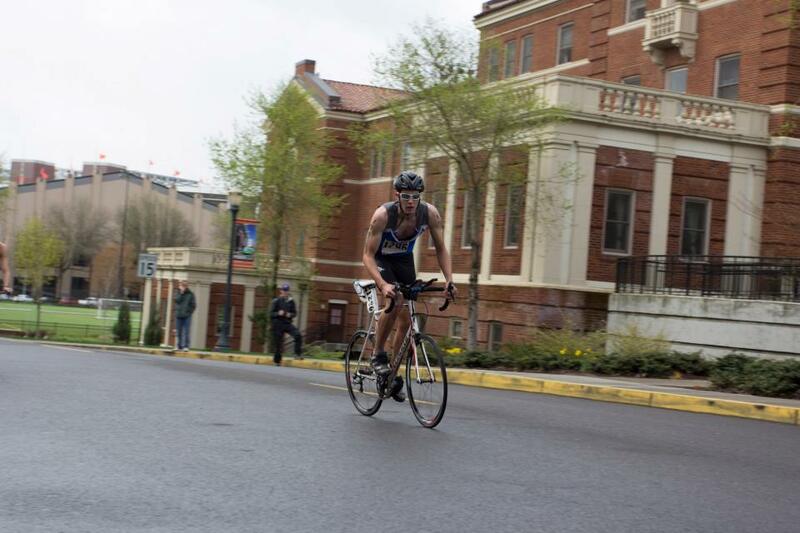 The Beaver Freezer Triathlon is a sprint triathlon consisting of a 500yd swim, 12 mile bike, and 3.1 mile run. 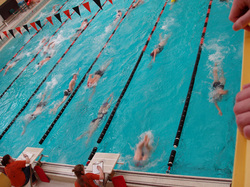 The course includes a swim in one of two pools on Oregon State University campus. The transition area for both pools is in the Dixon Parking lot on 26th street. Each pool will have 10 heats with the first starting promptly at 8:00 am; the last heat will start around 10:35 am. 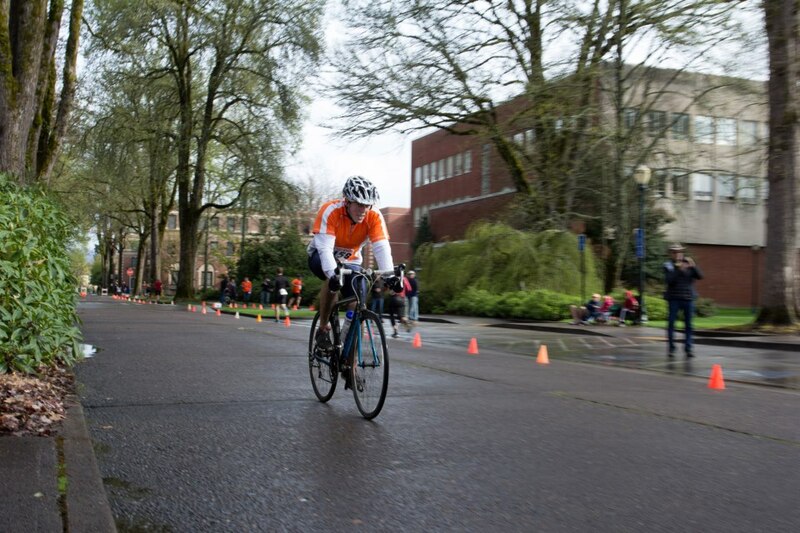 The bike ride takes you through some of the historic college district and out through the country roads of Corvallis. 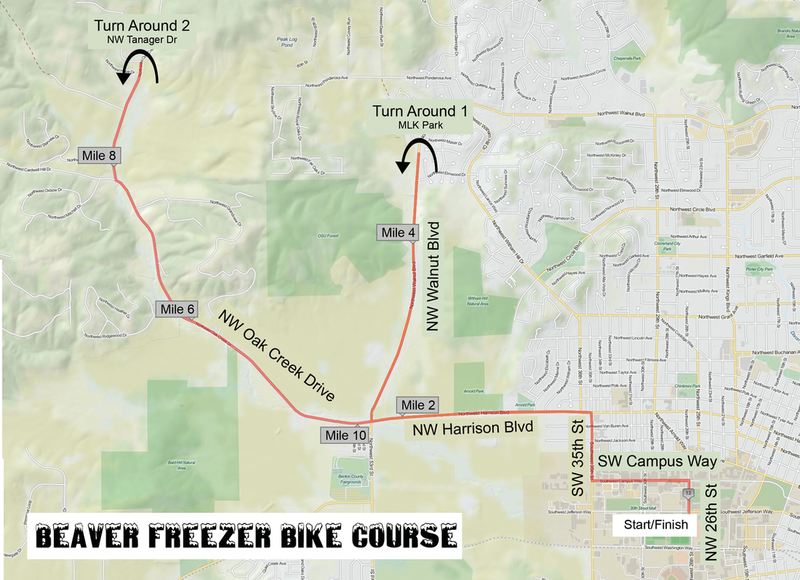 With a few gentle hills, this ride is PERFECT for beginners and FAST for experienced athletes. 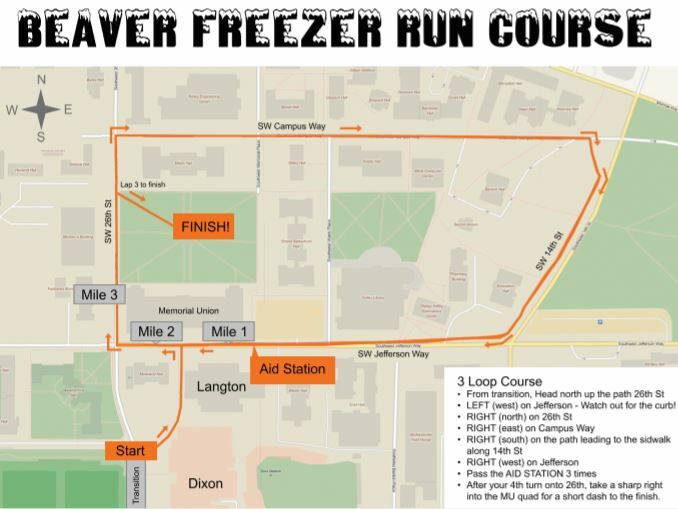 The run is a fun 3 loop course around the heart of the OSU campus, finishing in the middle of the Memorial Union Quad. 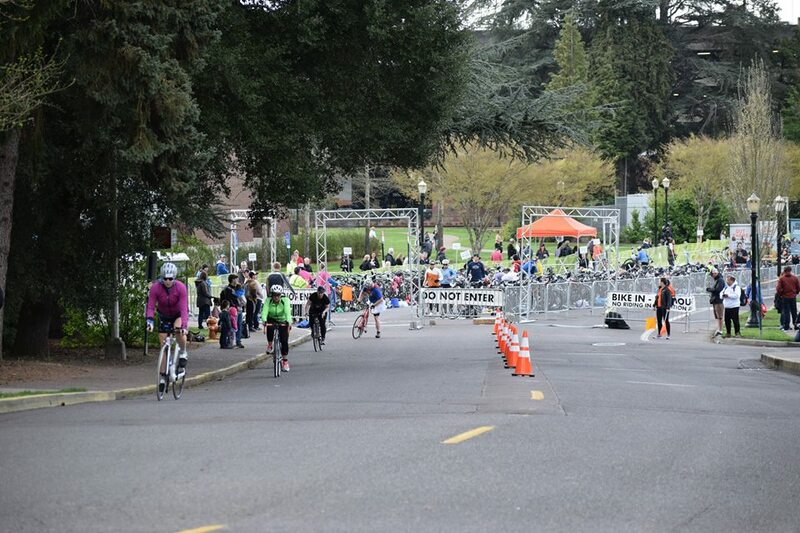 Family and friends will enjoy the easy of spectating this race, while exploring the Oregon State Campus. 20 lengths (10 laps) in a 25 yard pool. Your race start time will be based on 500 yard swim times. 4 people per lane. Each swimmer will start 5 seconds behind the person in front of them. Starting times will reflect this delay. There will be volunteer lap counters, and drafting is OK. A locker room will be available for participants before and after the race. Swim location will be at Dixon Rec Center and Langton Pool. Your pool will be specified on the start time page. Swimmers will exit both pools heading south. Please see the transition maps after pool assignments have been made. Participants are welcome to wear shoes on the run to transition. Changing tents will be available in transition. Continue STRAIGHT (east) through the intersection. You will now be on Harrison Blvd. At this point, you will follow your tracks back to transition. A Snell/Ansi approved helmet must be worn. If your helmet was purchase in the US, then you are good to go! Drafting is NOT ALLOWED! Police and flaggers will manage traffic at intersections, but CYCLISTS MUST BE RESPONSIBLE FOR THEIR OWN SAFETY! There are no aid stations on the bike course. Bike mechanics will be at transition and on course in support vehicles, but racers should come prepared with flat kits. No headphones allowed on the bike or run courses. Use of headphones and/or mp3 players while competing in the race will result in a disqualification. 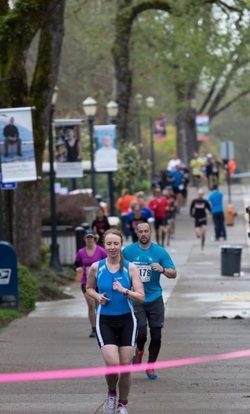 The run is around the heart of the Oregon State Campus among the beautiful brick buildings and old growth trees. 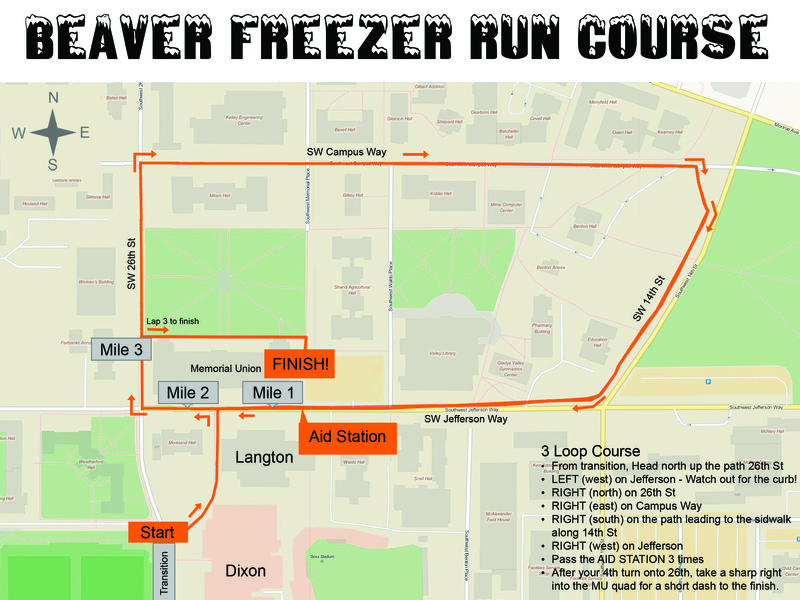 Participants will enjoy a 3 1/4 loop course where their spectators can see and cheer them on multiple times before heading to the finish. The course is mostly flat and fast with one hill (you get to conquer it 3 times) just before the aid station. Participants will also pass the aid station 3 times! 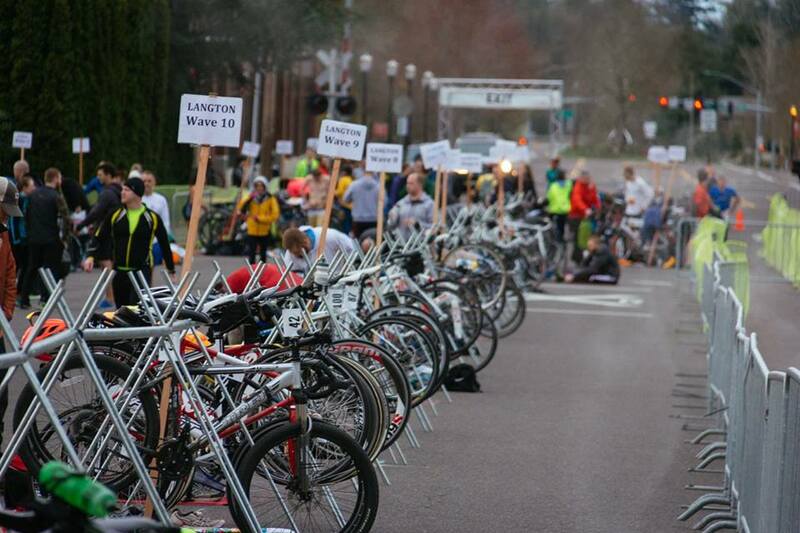 From transition, participants will head up the walking path to Jefferson and begin lap 1. They will head north on 26th street, east on Campus Way, south on 15th street and west on Jefferson Way. On the last 1/4 of a lap on 26th, racers will take a sharp right turn into the Student Memorial Union Quad, finishing just beyond the center! No headphones allowed on the run course.